Yesterday we bid goodbye to February in the most amazing way, real spring like temperatures. Our tour guide, history teacher, Mr. Ray picked us up and we headed off on yet another adventure. 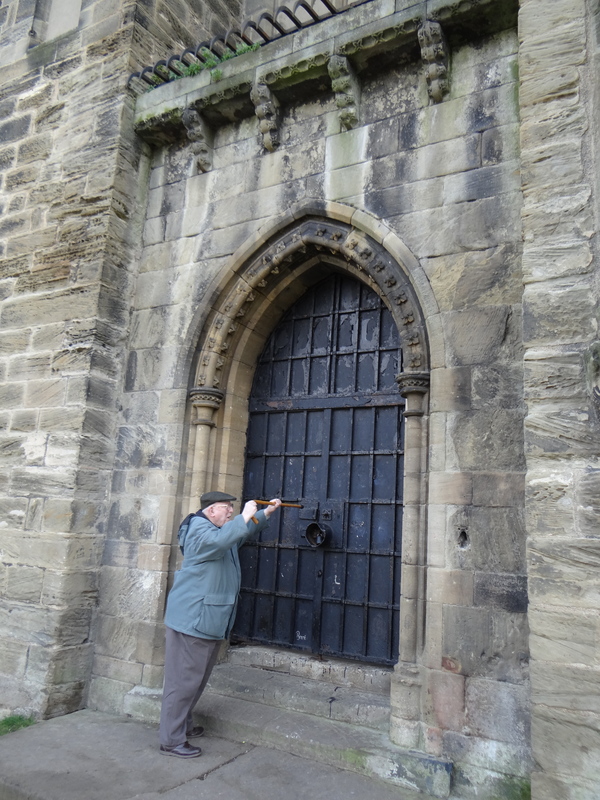 This week we followed the English Heritage guidebook and found a site not far from Durham. 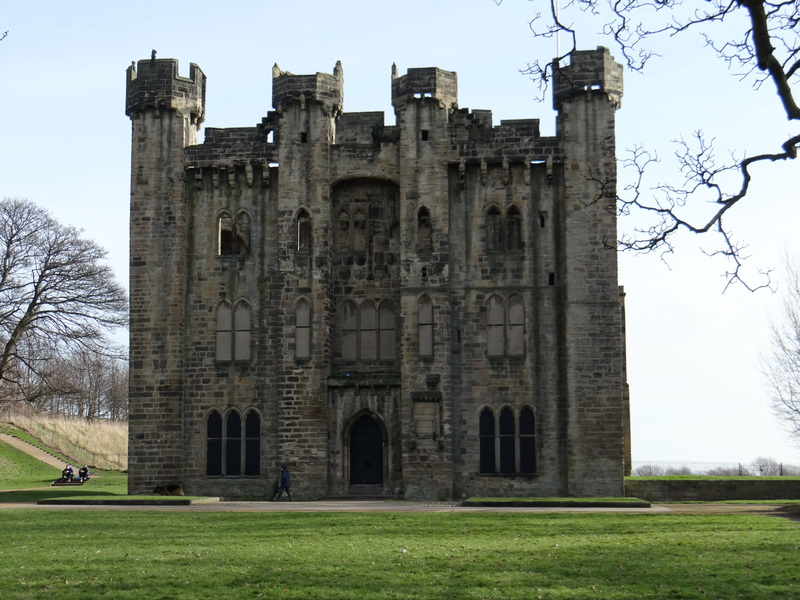 Just down the motorway in nearby Sunderland stand the remnants of a castle built in the 1400’s. 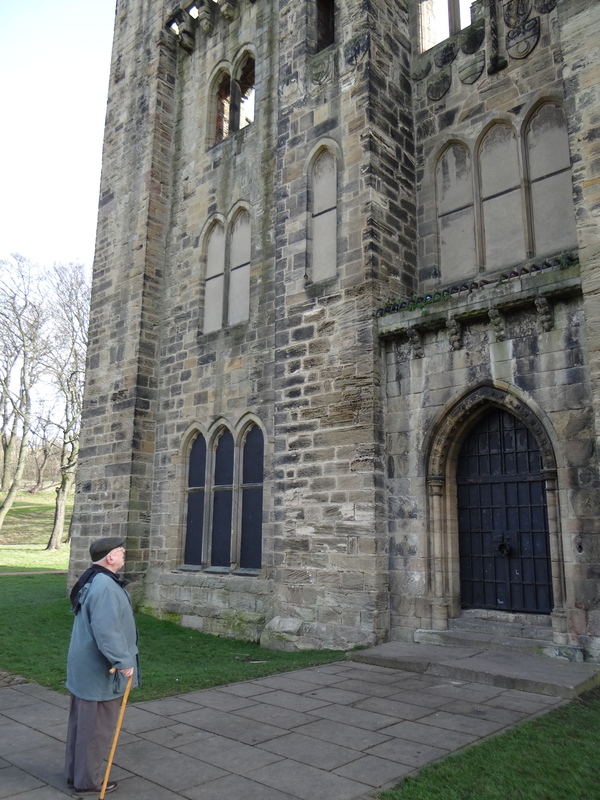 Since Meg is studying Medieval castle construction at the moment I felt this was an opportune time to go visit Hylton Castle. The gatehouse of the castle still stands as well as the family chapel. 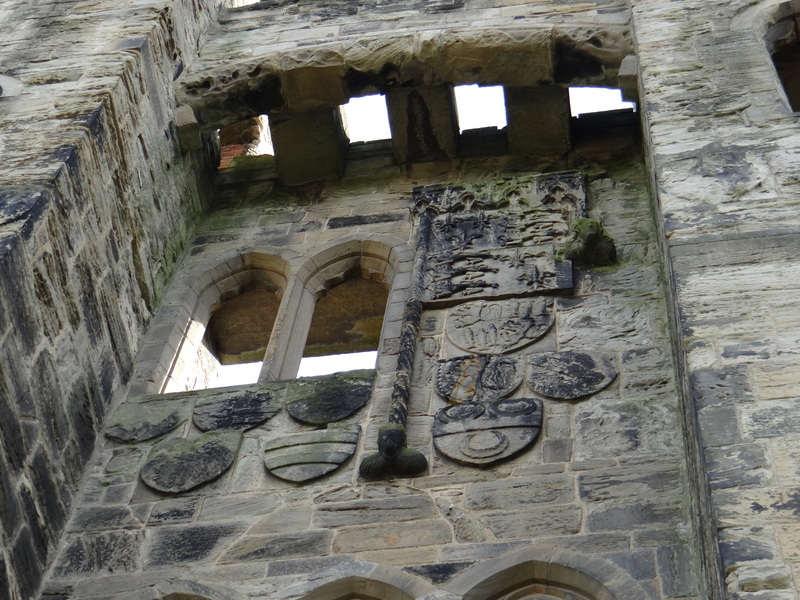 The highly decorated gate house tower was built just prior to 1400 by Sir William Hylton. The castle originally held four floors of family accommodations. The entrance is beset with royal and family crests intricately carved into the local sandstone. Sadly the sandstone is eroding away and the gatehouse and chapel are slowly melting away after centuries of rain and northeast weather. One of the badges carved into the entrance is the White Hart Badge of Richard the II. The chapel is still, even in its ruins, quite beautiful. I dream of having funds to restore these places to their former beauty. I love to stand in them and imagine how they would look in all their fine trappings and glass windows. We had more adventures yesterday. I will tell you all about those tomorrow.